Seventeen-year-old Aaron Avont Johnson premiered his “Moonlight-esque” award-winning film “Lost” on March 10 at Miami’s Manuel Artime Theater and was greeted by an eager audience of fans and local press. Johnson, who won the talented new filmmaker award for "Lost" at the 2018 London Filmmaker Festival and is a finalist Sundance Film Festival, wrote the screenplay when he was 14, making it his sixth film. Tipping off his Christian upbringing, he names the protagonist in his film Job – the Biblical character who was stripped of all his worldly possessions and family then was struck with illness. 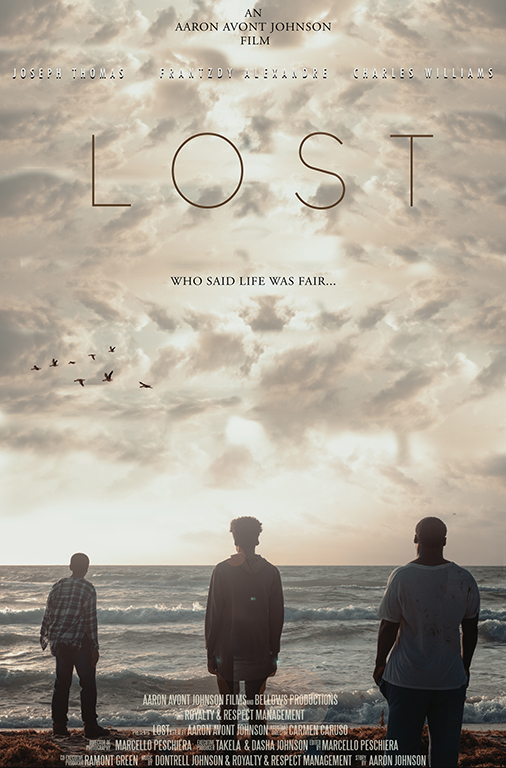 “Lost,” though, is set in Miami and follows the life of a middle-schooler who is molested and becomes homeless after a tragedy in his family. “I definitely wanted to show the back story and what could have happened to a man in that position...sometimes in life, pain can numb us…we can go through so much pain that we don’t feel a thing,” Johnson told audiences at the premiere. Last award season, fans recall “Moonlight,” another Miami-made movie that received the Academy Award for Best Picture. “Lost” boasts much of the same tragic throughlines in the life of Job, also a young Black man growing up in the city of Miami. Johnson, who has written and staged several plays, penned two books and is a nationally recognized youth speaker, was recognized by City of Miami Mayor Francis Suarez for his successes, proclaiming March 9 City of Miami’s official Aaron Johnson Day. Jasmine Burke, Bounce TV’s Saints and Sinners, served as the celebrity host at the event.